The CED7000RF Shot Timer is truly a breakthrough in technology. 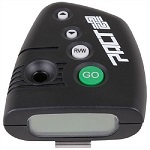 No other shot timer to date offers this combinations of advanced features, compact size and lightweight. This is truly the "next generation" Shot Timer here today! The CED7000RF model includes wireless remote capability that allows the timer to be connected (wireless) to a CED BigBoard or CED Time Keeper for displaying results up to 50 yards away from the linked timer. - Memory storage/recall for review of 10 strings and an unlimited number of shots. - Custom Par for single or multiple Par time settings, with variable delay intervals and the first ever hundredth of a second setting. - Dual forward and reverse Review function. - Fixed/Random/Instant of custom delay available. - Shot detection microphone featuring 8 preprogrammed digital sensitivity settings. 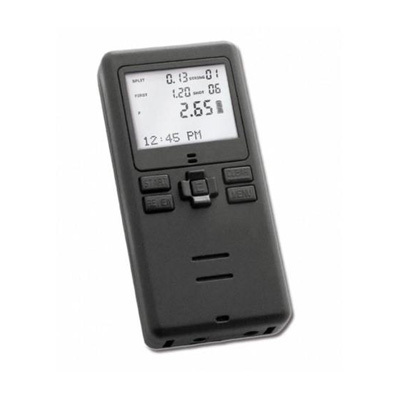 - Illuminated fully functional LCD display, showing total time, splits, shot number, Par and first shot time. - Date and time displays, including alarm clock feature. - New Spy Mode for monitoring other shooters and visual starts. - New Stopwatch Mode for use of the timer as a stopwatch to clock props and other shooters on the range.- Super loud Start beep over 110 dB the loudest in the industry! - Rechargeable battery with low battery LCD indicator. Optional External Battery Pack. - 2 sets of Start/Review buttons. Choose which works best for you! - Large display of overall time, for quick-glance identification. - A wide range of accessories, to ensure that you have what you need to make your new CED7000 the perfect timer for you. - Multiple carry devices and options. - Wrist and neck band lariats.